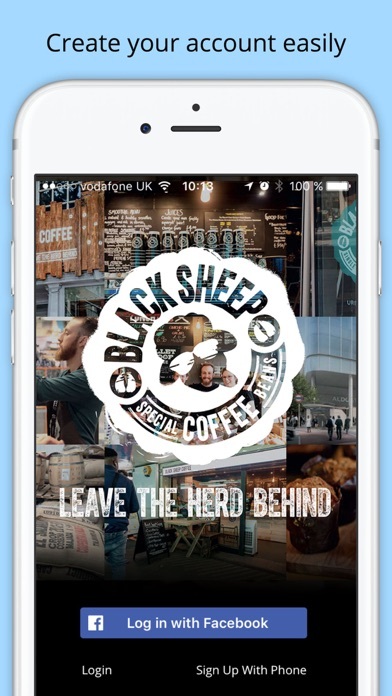 We have created the Black Sheep Coffee app to help simplify a little bit of your life and to help reward you for being a loyal Black Sheep Coffee customer. Here’s what it does: - Helps you discover Black Sheep Coffee locations and find your nearest Black Sheep Coffee coffee house wherever you may be in town. 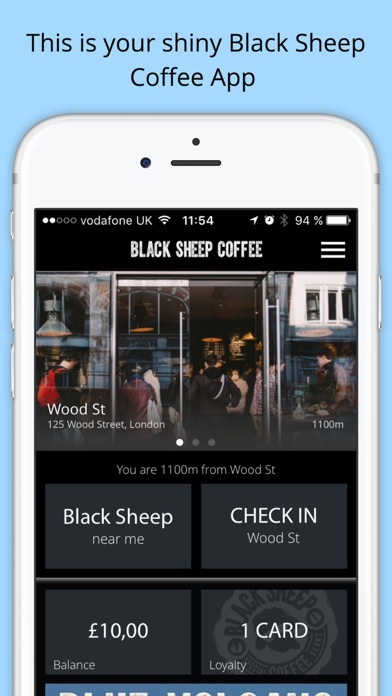 - Simplifies paying for your coffee and other goods at Black Sheep Coffee. You no longer need cash or a card, just your phone. 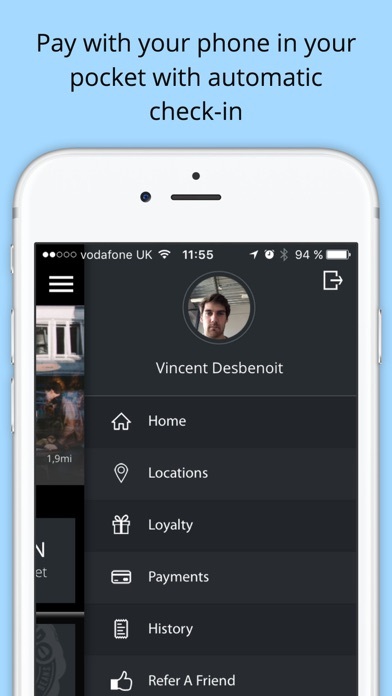 - Check-in to a location and your profile will be visible on our till. Just order as normal, say you’re checked-in and give your name. Your account will be debited and you can view your transaction and receipt on the App. - Auto-check-in. For your favourite stores, select auto-check-in on the location page and whenever you are near to one of those locations (approx. 25 metres), the app will automatically check you in. Order as above. 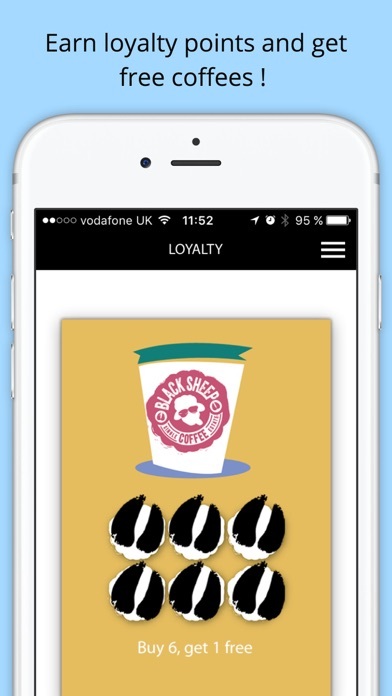 - Digital Loyalty – the same as your Black Sheep Coffee stamp card, just digital - plus now you can help us support charity by donating your cards when the mood strikes. 1) No cards to keep or remember and your points are automatically added. 2) You can use your cards at any time – you just need to be checked-in and mention it at the till as usual -Digital History – a record of all your activity through the app including all your purchases, top-ups, loyalty redemptions etc. You can even email your receipt for expense purposes. 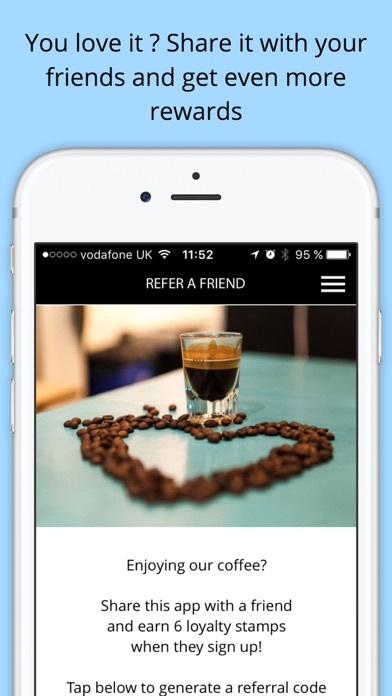 Features – useful news and access to other Black Sheep Coffee happenings.